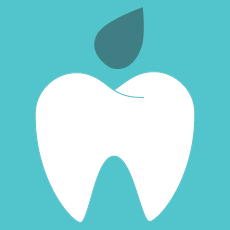 We believe that everyone deserves to have a healthy mouth and a beautiful smile they can be proud of. However, for some a trip to the dentist is an incredibly stressful, worrying experience, which could prevent them seeking important treatment. At both our practices in Coventry and Kettering, we make every effort to ensure that nervous patients can feel relaxed and comfortable. From the very beginning we take the time to listen to you and answer your questions, you can even see one of our dentists for an informal chat, without undergoing any treatment or examination, or even sitting in the dentist’s chair. We will work with you every step of the way and will move things along at your pace, you could even bring a friend or family member along for support. When you feel ready, we can help you relax with the latest in-chair entertainment systems. You could listen to some music of your choice, or take advantage of our DVD glasses to watch a film during your treatment. When it comes to the treatment itself, we pride ourselves on delivering comfortable, careful dentistry. Using the latest techniques means we can often make treatments pain-free, and many patients who have previously been apprehensive about visiting the dentist have told us how valuable they find our dentist’s informal and gentle approach. Don’t let the experiences of your past affect the future health of your mouth or your ability to talk, laugh and enjoy your favourite foods. Speak to our team to find out more about how our additional support for nervous patients could help you return to the dentist once more, and make your entire experience stress-free.